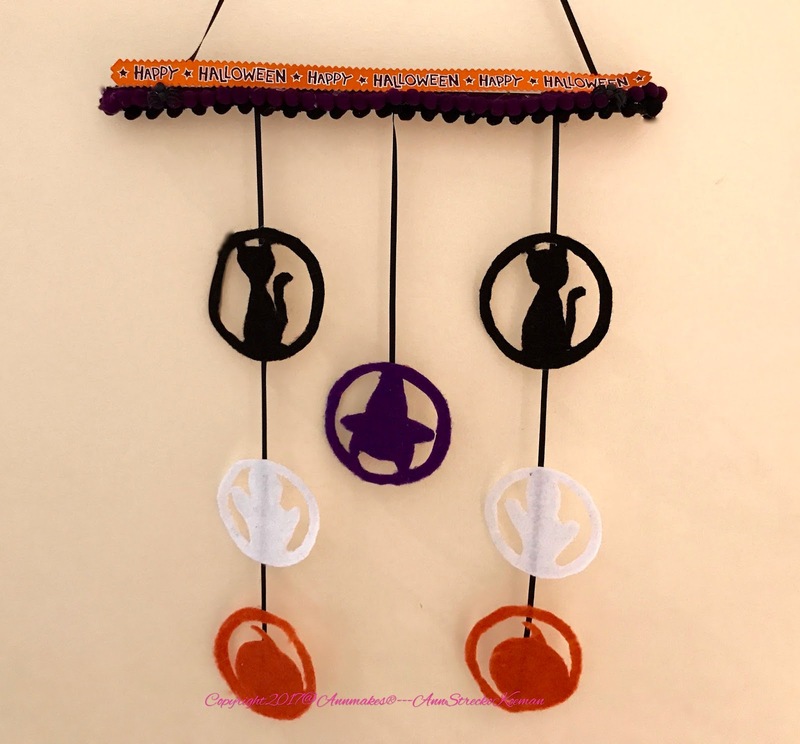 Halloween will be here soon, and Kunin® Felt has lovely felts for you to craft some decorations. 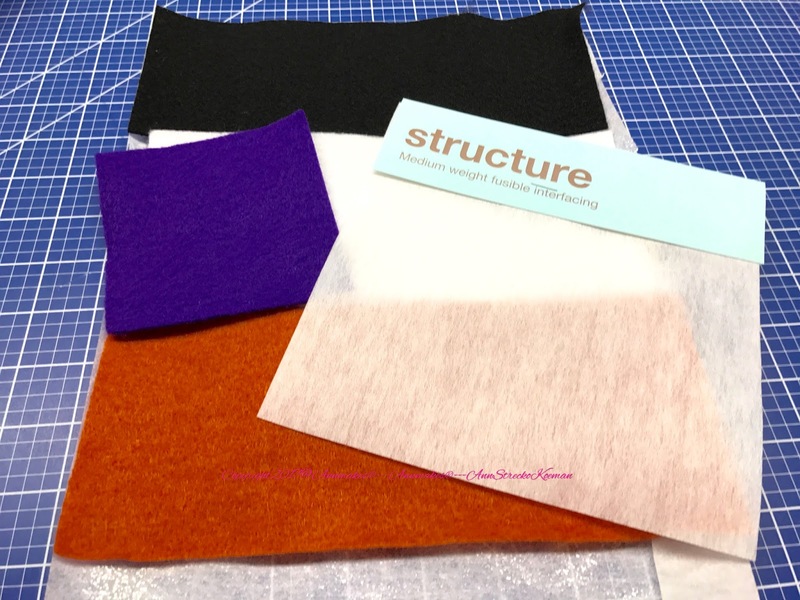 "Kunin® is the clean and sustainable felt that is ideal for garment, accessory, decorating, and home decor crafting projects. " 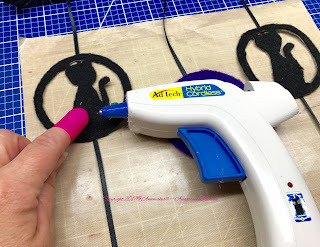 Today on the Designers Crafters Connection Blog the Designers have many amazing projects made with Kunin Felt to share with you. 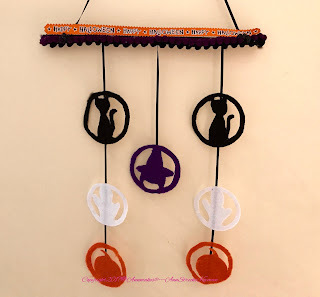 I chose to make the wall hanging shown above. 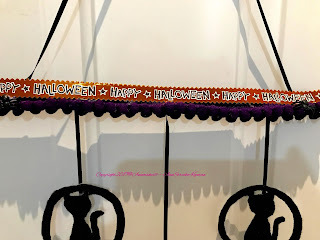 **Includes affiliate links that compensate me for purchases. 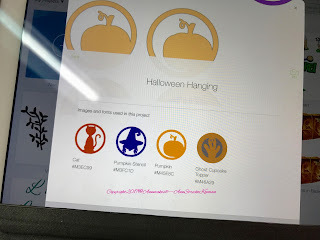 To make this I used my Cricut Explore Air™ 2 to cut the Kunin® Felt into some Halloween shaped medallions that I designed in the Cricut Design Space. The Kunin® Felt we received is the Premium Felt in 8 oz measuring 12" x 18", and the Classic felt in 5oz. Meauring 9" x 12". Made in the US from recycled water bottles. This felt, with a stabilizer, cuts beautifully with dies and die cutting machines. 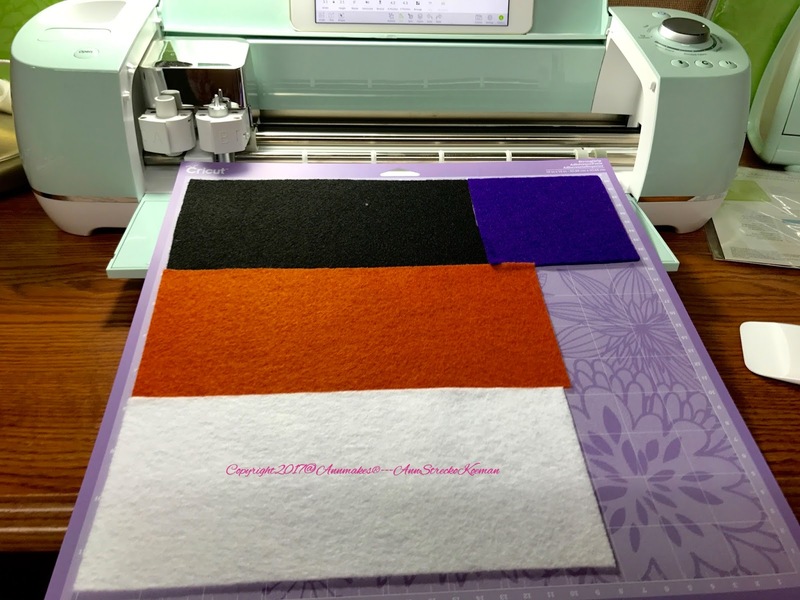 To begin, I added a Structure One Sided Fusible Interfacing stiff interfacing to the back of each piece of felt. 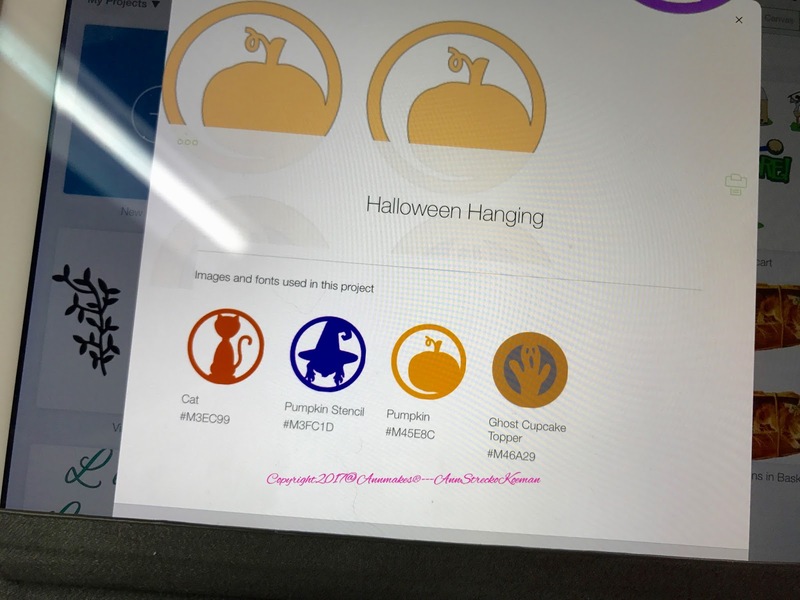 Afterwards, I cut the shapes using a Deep Cut Blade and a Strong Grip mat from the Cricut line. I painted a wooden dowel (12 ") with some DecoArt DCA47-10 Crafter's Acrylic Paint, 4-Ounce, Black , and let that dry. 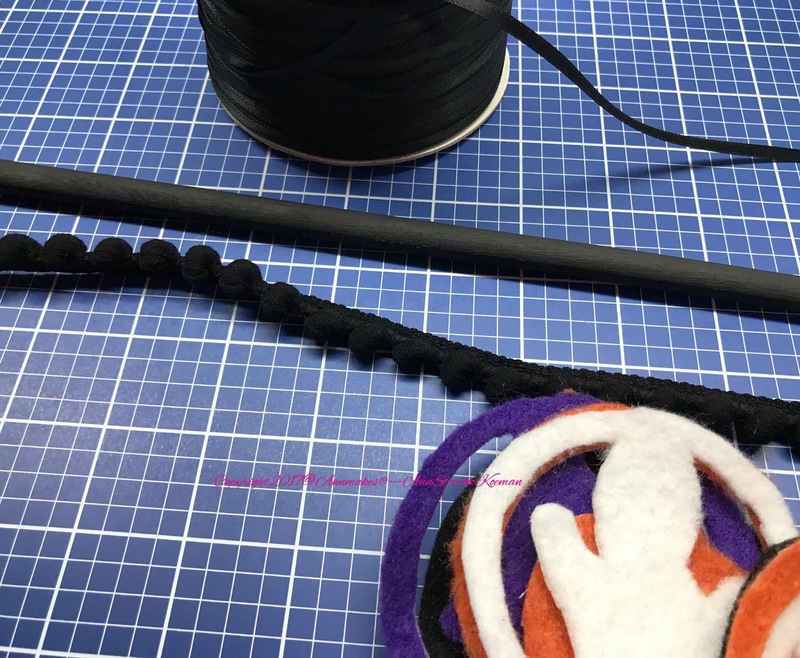 The next step was to attach pieces of narrow black ribbon to use as a hanger and to connect the pieces of cut Kunin® Felt. To cover up the tied ends of the ribbon, I used hot glue and my Ad-Tech 0443 Two- Temp Cordless Glue Gun to adhere some black pom pom trim, which I also layered a piece of purple pom pom trim above (both from Expo International). 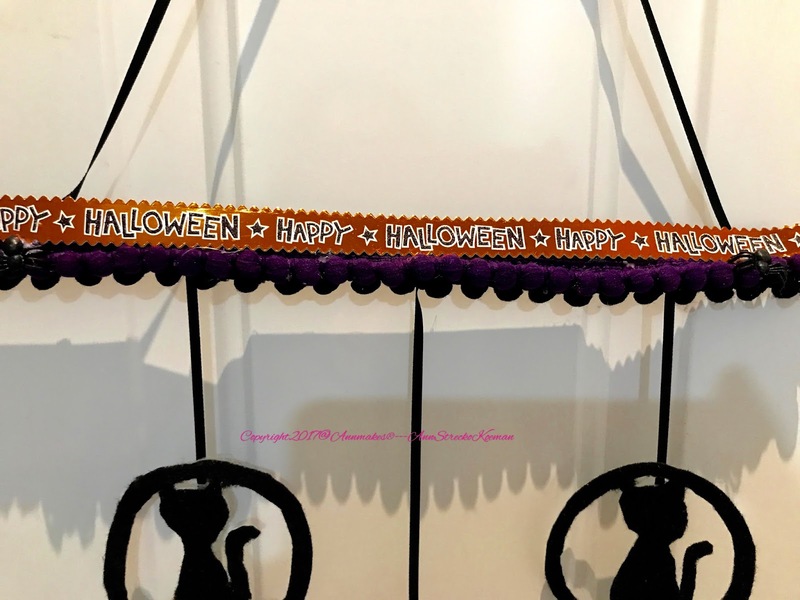 To finish off the top, I added a "Happy Halloween" scrapbook banner (K and Company) from my stash. Plus two little plastic spider bugs from Dollar Tree. For more information on Kunin® Felt, please check their web site, Kunin® Felt.